Muffins are perfect for quick breakfasts, brunch or as a light snack. We have been loving them for breakfast at our house now that the kids are back in school. I can whip up a batch during the day and serve them almost all week long if we need to. Well, if they make it that long. I feel good about knowing I am serving them something filling and even with a few recipes having chocolate it is much healthier than sugary cereal. Having a container filled with fresh muffins is so simple for my kids to just pick out which ones they want making breakfast a breeze. Each of my kids have their favorites, blueberry being one of them but they got tired of the same thing. 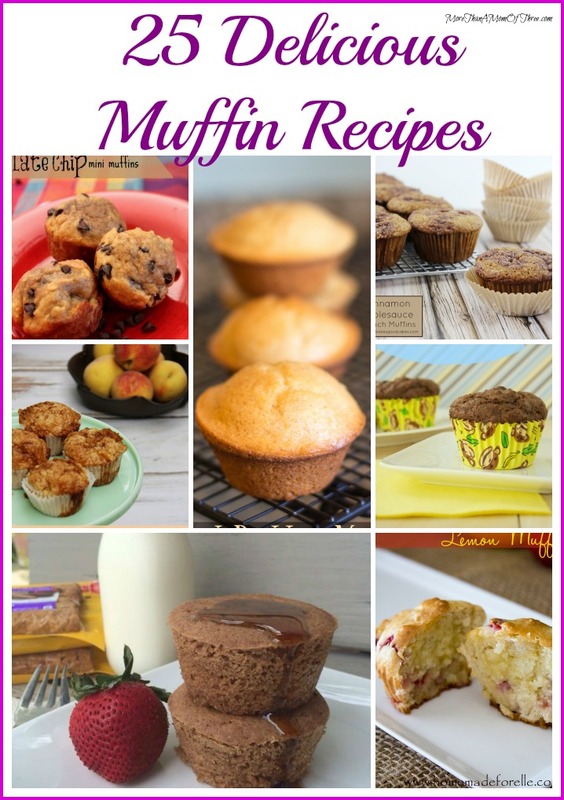 So I did a little research and found 25 delicious muffin recipes. All perfect for our early mornings trying to get out the door on time for school. Try a few or the whole list and let me know which ones are your favorites. I’m telling you moms, early school mornings will be so simple after you add muffin recipes into your breakfast meal plans. What are your favorite muffin recipes?